Abstract. The article has the objective to present one of the most important global problems, i.e. provide food for the increasing number of the World’s inhabitants. Perspective for solving this problem, outlined by the success of industrial agriculture in the second half of the twentieth century, seems to fade away. It is because we observe a significant increase in demand for food and other agricultural products and at the same time anti-growth forces and environmental barrier as well as ambiguous results of globalisation become exposed. It puts the problem of creating a sufficient supply of agricultural products and their distribution in order to eliminate hunger and malnutrition, in a new light. Managing this challenge requires applying new methods of producing agricultural products, because it is impossible to continue using industrial technologies, due to the change of development conditions. Globalisation significantly, if not fundamentally, changes conditions of agriculture functioning and development. Farms are under extreme pressure from the global market represented by large processing and trade corporations and de facto deprived of the freedom of making decisions on production, thus becoming a cogwheel in global food chains. The number of farms with the ability to stay on the surface of economic life is decreasing constantly. Compulsion to concentrate and the growth (accumulation) imperative typical of capitalistic economy collides more sharply with the compulsion to protect the environment. In such situation it is obvious and advisable to seek different solutions – an alternative system and development of agriculture as well as production and distribution of food. Keywords: global food problem, globalisation, environmental barrier, sustainable development of agriculture. 1.Barboza D., 2007, Pollution Threatens Fish Farming in China. The New York Times, December 29. 2.Braun J., von, 2007, The World Food Situation: New Driving Forces and Required Actions. IFPRI, Washington DC. 3.Brouwer F. (ed. ), 2004, Sustaining Agriculture and the Rural Environment. Edward Elgar, Chaltenham, UK-Northampton, MA-USA. 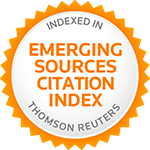 4.Brown L., Larsen J., Fischlowitz-Roberts B., 2002, The Earth Policy Reader. Earth Policy Institute – W.W. Norton&Company, New York – London. 5.Brown L.R., 2006, Plan B 20. Rescuing a Planet under Stress and Civilization in Trouble. Earth Policy Institute, W.W.Norton&Company, New York-London. 6.Bruinsma J. (ed. ), 2003, World agriculture: towards 2015/2030. An FAO Perspective. FAO - Earthscan, London. 7.Chipeta M., 2007, The Rio Agenda Redefined: Agriculture, Forestry and Environment in the Era of Bioenergy. Material from conference „Global Development: Science and Policies for the Future”. IIASA, Wiedeń 14-15.XI. 8.Colborn T., Dumanoski D., Myers J.P., 1997, Our stolen future. Amber Publishing House, Warsaw. 9.Crosby A.W., 1999, Ecological imperialism. PIW, Warsaw. 10.Delgado L.C., Wada N., Rosegrant M.W., Mejer S., Ahmed M., 2003, Outlook for Fisch to 2020. IFPRI. Report, Washington DC. October. 11.EC, 2008a, High process on agricultural commodity markets: situation and prospects. DG AGRI, Brussels, July. 12.EC 2008b, What caused the present boom in agricultural prices? DG for Agr. and RD, D(2008)TH/14147, Brussels. 13.FAO, 2007a, The State of World Fisheries and Agriculture. Rome. 14.FAO, 2007b, Adaptation to climate changes in agriculture and fisheries; Perspective, framework and priorities. Rome. 15.FAO, 2008, Growing demand on agriculture and raising proces of commodities. Paper prepared for the Round Table organized during the Thirty-first session of IFAD’s Governing Council, 14th February 2008. 16.Fischer G., 2005, Feeding China in 2030. Options, Autumn. 17.Haug M., 2007, Renewable energy in future energy supply: a renaissance in waiting. Quarterly Journal of International Agriculture, vol. 46, no. 4, p. 305-324. 18.Heffernan W.D., 1999, Biotechnology and Mature Capitalism. Ref. on 11th Annual Meeting of The National Agricultural Biotechnology Council. Lincoln, Nebrasca June 6-8, 1999 [http://www.foodcircles.missouri.edu.pub.htm]. 19.Huelenbroeck van G., Durando G. (eds. ), 2003, Multifunctional Agriculture. A New Paradigm for European Agriculture and Rural Development.Ashgate, Hampshire – Burlington. 20.Huxley A., 1988, Brave new world, translated by B. Baran, Cracow (1st ed. 1932). 21.Kristof N.D., 2008, Extender Forecast: Bloodshed. The New York Times-Rzeczpospolita, 19 April. 22.MEA, 2005, Ecosystems and Human Well-being. Vol. 1. Current State and Trends. Millenium Ecosystem Assesement. 23.Naisbitt J., 1997, Megatrends, Zysk i S-ka Publishing House, Poznań. 24.Nalborczyk E., 2002, Future of the agriculture. Poland 2000 Plus, Biuletyn no 2(6), p. 38-43. 25.Nilsson S., 2007, Hot topic: food, fiber and fuel. The 3F. Ref. on the conf. „Global Development: Science and Policies for the Future. IIASA, Vienna 14-15.XI. 26.OECD, 2007, Round Table on Sustainable Development Biofuels: is the cure worse than the disease? Richard Doornbosch and Ronald Steenblik. Paris, 11-12 September. 27.OECD, 2008a, OECD Contribution to the United Nations Commission on Sustaiable Development 16. Towards Sustainable Agriculture. Paris. 28.OECD, 2008b, OECD Environmental Outlook to 2030. Paris. 29.OECD/FAO, 2008, Agricultural Outlook 2008-2017. Paris, Roma. 30.OECD-NEAA, 2008, Background report to the OECD Environmental Outlook to 2030. Overviews, details, and methodology of model-based analysis. Netherlands Environmental Agency – Organization for Economic Cooperation and Development, Paris. 31.Orwell G., 1997, Nineteen Eighty-Four, translated by K. Mirkowicz, Warsaw (1st ed. 1947). 32.Quaim Q., Matuschke I., 2005, Impacts of genetically modified crops in developing countries: a survey. Quartely Journal of International Agriculture, vol. 44, no. 3. 33.Runowski H., 1997, Biological progress in agriculture. SGGW Publishing House, Warsaw. 34.Tangerman S., 2008, Agricultural Commodity Proces: Perspectives and Polices. EuroChoices 7(2), p. 36-43. 35.The Economist, 1996, Will the world strove?, The Economist, no 7992, November 16th. 36.Thurow L.C., 2007, Fortune favours the bold. What to do to build a sustainable and thriving global economy. Translated by Jan Dzierzgowski. Warszawskie Wydawnictwo Literackie MUZA SA, Warsaw. 37.Twardowski T., 2009, Genetically modified organisms in agriculture, (in: ) The future of agricultural and food sector and countryside. I Congress of Agriculture Sciences „Science for Practice:. MARD, ISSPC-NRI. NVRI, Puławy, p. 227-236. 38.UN, 2007, World population prospects, the 2006 revision – highlights. UN, New York. 39.WB, 2008, World Development Report. Agriculture for Development. World Bank, Washington DC. 40.Witzke von H., 2008, Agriculture, world food security, bio-energy and climate change: some inconvenient facts. Quarterly Journal of International Agriculture, vol. 47, no 1, p. 1-4. 41.Woś A., Zegar J., 2002, Socially sustainable agriculture. IERiGŻ, Warszawa. 42.Zhou Z.-Y., Tian W.-M. (eds. ), 2005, Grains in China – Foodgrain, Feedgrain and World Trade. Ashgate Publishing Ltd., Aldershot, Hants, UK.